Hola amigos ya felices de vacaciones no? Pues precisamente aprovechando mi mood creativo me di a la tarea de realizar estos “fashion board” con #ootds super trendy que seguro tendrás alguna pieza similar en tu closet. La idea es que con estos ejemplos sepas mezclar y realizar tus propias combinaciones con colores y texturas, y ¿por que no? te declares una profesional del “estilo“. Hello friends already happy holidays not? Well, just taking advantage of my creative mood I decided to make these “fashion board” with #ootds super trendy that surely you will have some similar piece in your closet. The idea is that with these examples you can mix and make your own combinations with colors and textures, and why not? You declare yourself a “style” professional. Sabemos que es un look casual pero el juego de tonalidades en azul logra ese equilibrio que favorece y destaca su onda Effortless-fashion. Este look es ideal para viajar ademas el total denim siempre sera buena idea. We know it is a casual look but the game of tonalities in blue achieves that balance that favors and highlights its Effortless-fashion wave. 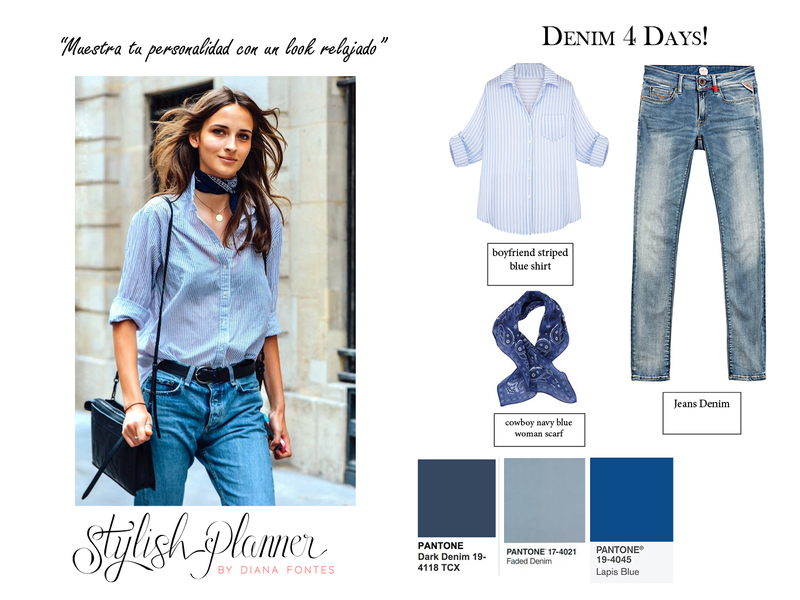 This look is ideal to travel in addition the total denim will always be a good idea. 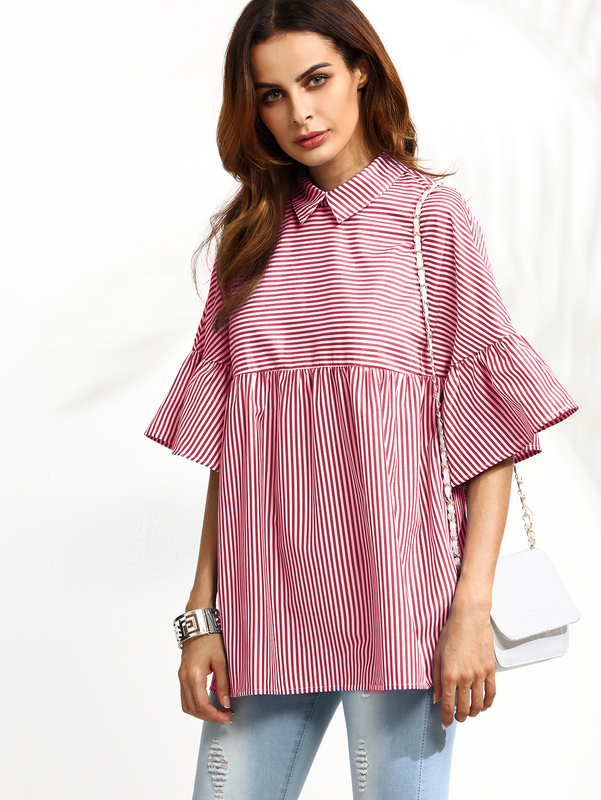 Las tendencias en rayas y cuadros esta a todo “furor” y a pesar de ser catalogadas como un print que se usa mucho mas para el día, te muestro como puedes hacer dicha prenda se vea con mas glamours, logrando un estilo “campirano francés” ideal para una comida después del paseo. Las tonalidades del pantone que utilizamos han sido el Fiesta (rojo fresa) blanco y honey gold, este ultimo puede ser caracterizado en tus accesorios de una manera sutil. And for those who are thinking of “Rock Festivals” very now, especially if we refer to a fun, fearless and obvious “spring” leaf trend trend in the green, and we have loved this palm tree bra , The shades used Pantone Greenery, kale, white and why not honey gold. I bet you can get a look similar to this for less than $ 50.00 dlls (930.00 M.N). In the end i want to show you how you can look secure and beautiful in just a few minutes with one piece. 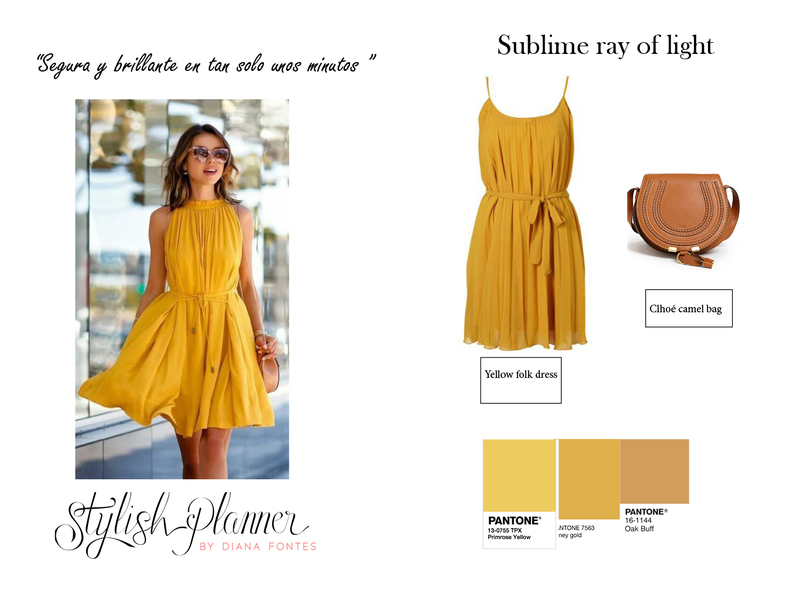 With the entrance of summer we want you to be full attention, to radiate all that light with pantone primrose yellow, which is also part of the colors of this year, take note how a single and simple piece (yellow dress at avaliable at shein.com) is Accessorized with very few elements doing A perfect duet with Oak color (intense camel) in the bag. What do you think of these four looks? I bet you run to make your bags because everything will be much easier. I wish you a very happy week and do not forget to leave your comments.